Cruiseship condominiums are the ultimate in luxury. A private residence onboard a floating palace is arguably the pinnacle of lifestyle choices. Come explore the incomparable excellence and the amazing journeys that await you. From the world-class amenities and concierge service to the renowned destinations and premium lifestyle, the condo cruise ships that we represent transcend the ordinary. Since 1984 - Vacations To Go, Inc. operates as a travel agency that offers last-minute cruise tours in the United States and internationally. 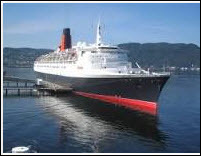 The online cruise travel guide created by the author of Fodors "The Complete Guide to Caribbean Cruises". Daily Cruise News - specials, industry news, training...etc. Covers all aspects of cruise operations: shipbuilding, new ships, cruise companies, ship reviews, onboard services, food and beverage, and ports and destinations. Boat U.S.